This week we visited one of our important partners – Thalassotherapy in Opatija to discuss a new path in our co-operation in relation to the Swedish and Scandinavian market. It was a pleasant, although very focused business meeting. 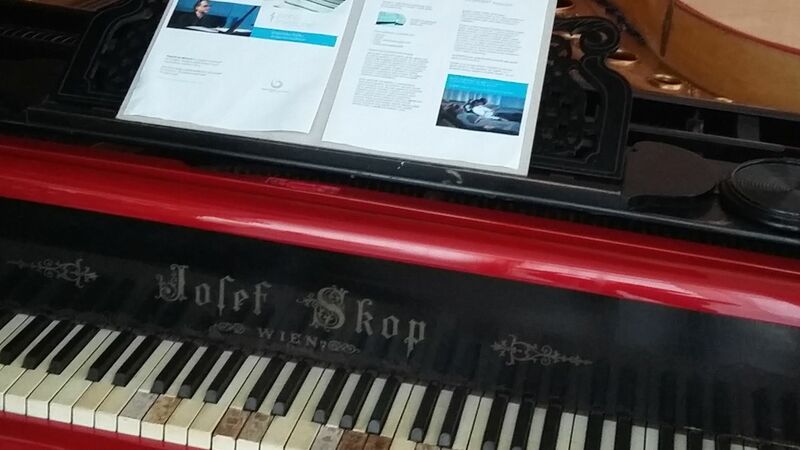 As we were parting in good spirits, a story turned up about the “Swedish red horse and red piano“. These two red objects still exist today within this special rehabilitation institution, mainly as decoration. However, some twenty five or thirty years ago they meant much more for both, the hospital’s staff and for their clients, especially those coming from Sweden. Our hosts told us the warm, although a bit nostalgic, story about their customers coming for various rehabilitation treatments from Sweden in rather big number. This was the time when Swedish (as well as Norwegian and Finnish) health care organizations had long term arrangements with Opatija, so that the people with rheumatic problems could come and spend at least three, more often four, weeks in intense treatments that helped them reduce their painful conditions and feel better when back home. Opatija has such a great tradition and good story to tell about their healthy environment and its appreciations by many. Their capacities are full and their services are in demand all year around. Recently Opatija attracted interest of the Chinese doctors and institutions, so that they started co-operation, thus enriching and improving the range of services. However, the traditional rehabilitation medicine, using manual massages as well as the most modern technology equipment, water, mud and few other methods are still the main focus of the Opatija expert team. We were pleased to hear about their constant improvement of the hospital facilities, always adding something new and convenient to make the clients and guests feel good and comfortable. And, what about the red horse and red piano? Well, for the red horse there is a straight forward story about the red wooden Swedish traditional horse art, called Dalecarlian horse or Dala horse (Dalahäst) which was brought to Opatija by a groups of regular patients who had clearly enjoyed their time and decided to make a nice present to their therapists and doctors. 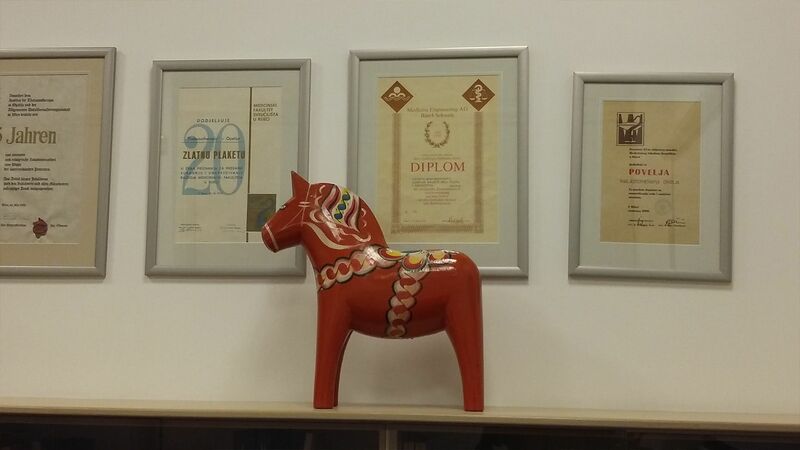 The meaning and story behind the Dalecarlian horse is widely debated and largely unknown, with some even citing Norse mythology to explain Sweden’s fascination with carving little wooden horses. 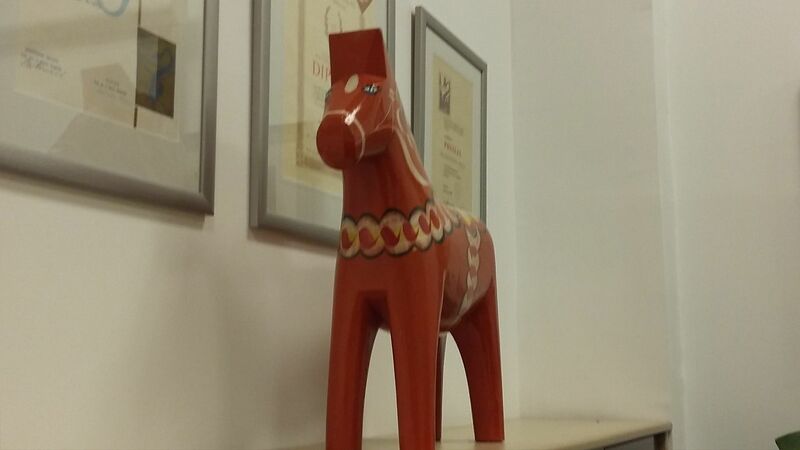 Much like the dark red paint that covers most of the houses in the Swedish countryside, Dalecarlian wooden horses are one of the most valuable products with geographical indication and a popular souvenir. However, the story behind the red piano that today stays proudly in one of the most attractive areas of the Thalassotherapy, will probably stay buried in the memories of those working and coming as guests to Opatija years ago. The story we heard was that one day somebody brought the red piano from Sweden and it became the centre of parties and singing during the evenings. I can imagine a good group of Swedish but probably also some local people, singing together full-heartedly, the activity often cures us equally as well as the magic hands of some skillful therapist.